We had our final editorial meeting on May 3rd, 2018 for this year’s issue of Haringey Unchained. We finalised the flat plan, decided on the amazing cover design, and are really excited about the upcoming publication. Haringey Unchained is a collective of students aiming to showcase the creative talent of Haringey Sixth Form College in Tottenham, London. Our community has had a challenging academic year, but amidst the setbacks, our students and staff have continued to produce art and creative writing that shows a want to be heard. In this magazine, we aim to bring out the critical and creative consciousness of a vibrant college. This creative gives space to those whose work might otherwise not be seen or read. Since the cuffs are off, we are able to express ourselves through our photography, art, short fiction and poetry, to express what is really on our minds. We are free. 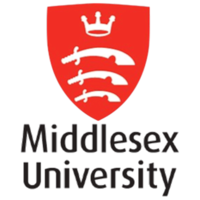 This year, we were privileged to work alongside Middlesex University in London, whose editorial team brought together an exciting range of submissions. We had editorial meetings together during which the students collaborated on the concepts for the magazine and blog. Submissions were produced by Haringey Unchained’s current members, Haringey Unchained alumni, Middlesex University English and Creative Writing students and Haringey Sixth Form College students and staff. The Haringey Unchained Editorial Team comprises ten Haringey College students and is headed by Angie Smith, English Teacher at Haringey Sixth Form Centre and Founder of Haringey Unchained. It also includes five Middlesex members (for 2017-18); our four Middlesex BA English students: Yvonne Alexander-Taylor, Majeda Reema Begum, Sarah Haque, Teodora Matković and myself (Anna Charalambidou).